Here is the Hobby Lobby weekly ad released on Sunday, October 21, 2018. 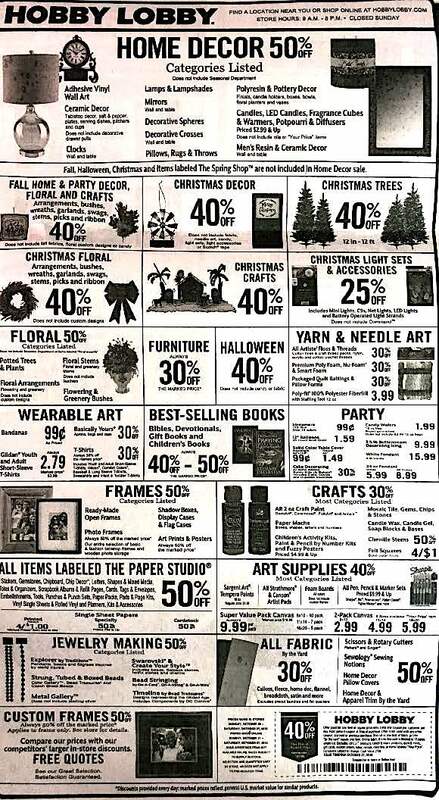 This Hobby Lobby ad features a 40% off one item coupon. It is valid through October 14, 2017. They are also having 50% off Home Decor sale, including many signs and decor. The prices and products in the Hobby Lobby weekly ad are available both in-store and online, however not all items can be found in all locations. The sale prices do not apply to pre-discounted items, only regular priced merchandise. Also, you will see in the Hobby Lobby coupon that they have a new logo! Hobby Lobby is the leader in arts, crafts, and home decor items with over 70,000 products. There are over 600 stores nationwide. Their ads are released in the Sunday newspaper circular every week. The Hobby Lobby weekly ad features very similar deals every week, so you know what you can except to get a deal on. 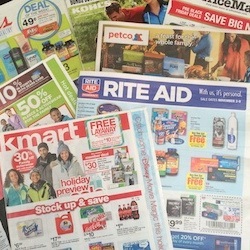 Their ad is almost always one page in length and features a 40% off coupon. It is published in the newspaper along with the articles usually in the local section, instead of an actual ad insert. Due to it being in this part of the Sunday newspaper, it can be difficult to locate. If you love the store, then you should consider applying for the Hobby Lobby credit card. It will earn you rewards such as free gift cards and you will be the first to know about deals via email. This is the only type of rewards program that they offer in the store. Hobby Lobby does not publish information about it in their weekly ad; you will have to see store for details or visit HobbyLobby.com. For even more savings sign-up for the Hobby Lobby credit card.